In Keeping with the Tradition of Socks! 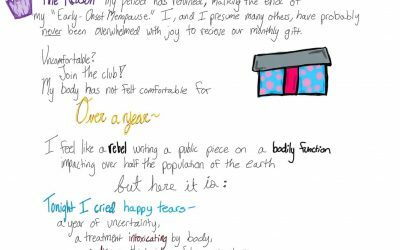 For the patients, survivors, supporters, medical staff, or for those on the search for fun-meaningful socks- look no further than baldsocks.com personally-designed socks. 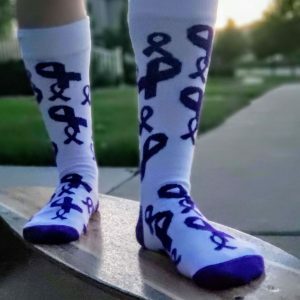 To start, I will be selling Hodgkin’s Lymphoma socks- these will be limited addition specifically designed for my diagnosis. The only purple design are named b(+) named after my blood type and attitude 😊. 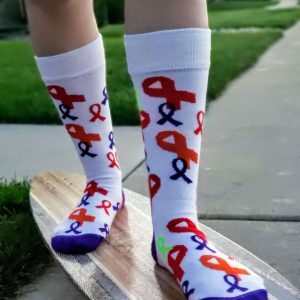 The second option is a sock with four different colored cancer ribbons- these are the four most common blood cancers (Hodgkin’s Lymphoma, Non-Hodgkin’s Lymphoma, Leukemia and Multiple Melanoma) and are named bloodsocks as they are all connected by blood. Beyond having more cancer merchandise in the market for more ribbons/diagnoses, having the four different colors represented on one sock has the potential for unity amongst the blood cancers. 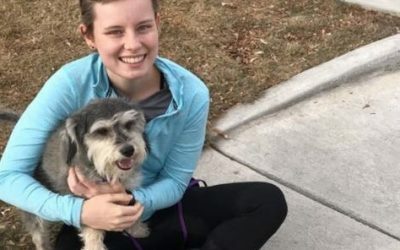 My hope is that this becomes a successful business premise, so I can expand to categorizing and uniting multiple groups of cancer diagnosis (so far I have brainstormed cancers impacting women, men and soft tissue (sarcoma)). Please feel free to comment with feedback and suggestions to help make this a successful business.